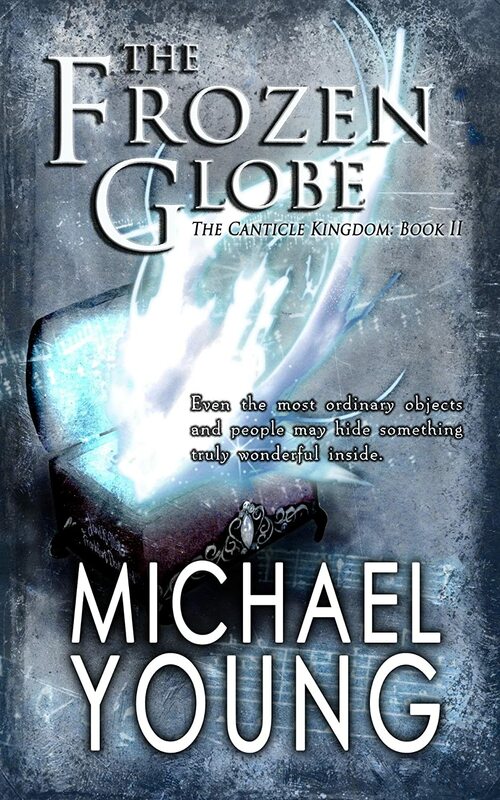 I think one of the best literary experiences I had last year was reading Michael Young’s Canticle series. I like reading classics, and I also love the bestsellers that everybody goes on about (I’m referring here to Jonathan Strange and Mr Norrell, not to the likes of Twilight), but there’s something fascinating about browsing, picking up something that I don’t know much about, and discovering that something delightful is going on there. 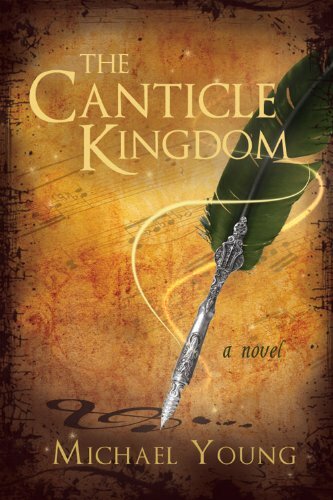 The Canticle novels definitely have something interesting and delightful going on. They aren’t perfect, they have some snags in the fabric here and there and they vary in style from book to book, but somehow that’s part of the charm. The story grew on me until it got stuck in my mind like a song on repeat. It’s a children’s fantasy-adventure series, full of magic and knights, with an evil wizard who wants to take over at least a tiny kingdom. And when I say “tiny kingdom”, I refer to a kingdom which fits inside a music box which is taken from here to there in our world, the one with World War II, airplanes, raids and so forth. 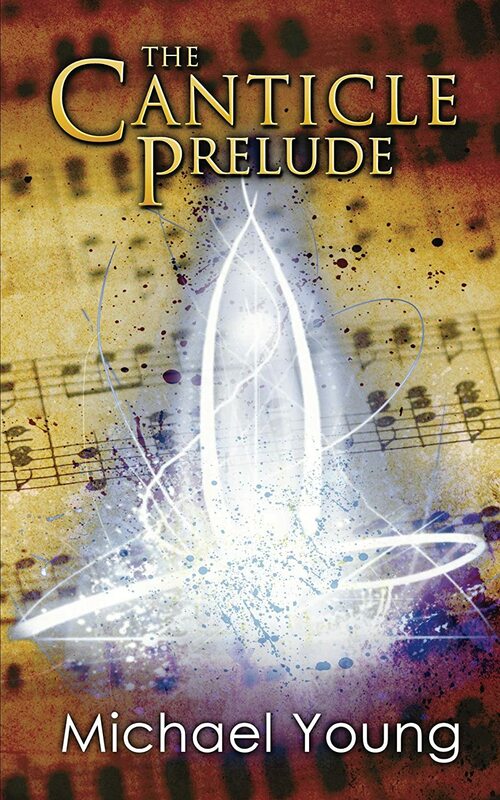 The first book in the series, The Canticle Prelude, contains what is possibly my favorite part of the story: a fairy tale-like beginning, which seems to be told in a musical rhythm that can remind you of creation myths, of gods and demigods and supernatural, very powerful beings. For the next part, which contains the last two thirds of the first book and the whole of the second book, the action moves almost exclusively inside the Canticle Kingdom, which is inside that music box I was referring to earlier. It loses its mythical proportions and becomes pure adventure, with many characters and plots intertwining to create a complex story. I personally thought it was confusing at times (especially the Canticle Kingdom book itself), but as a kid I would have loved it. I would have kept track of every character and acted out the scenes. It has just that sort of excitement going on. So, we have a sort of mythical fairy tale, then adventure – what could be left for the Frozen Globe?… Answer: the best. The last volume is complex, but easy to keep up with, it’s engaging and fun and exciting. Reading the series was a lovely experience – not just from the point of view of reading a new, fun story, but also from the point of view of seeing a universe evolve and a writer go wild with an idea. I don’t think I’ll place the Canticle series on my list of best-ever books and novels (it’s hard to get on that list), but it was definitely memorable and I’d recommend it to kids and kids’ writers alike, for reasons that concern both the fun of reading a story, and seeing how a story can be told. And because I delighted in the series and I could talk to the author, I’ve asked him for an interview that I’ll be posting soon. Keep in touch! One Response to "Kingdoms in boxes and worlds in globes"